URBANA, Ill. – The 2018 North Central Region Sustainable Agriculture Research and Education Program (NCR-SARE) has announced that proposals are now being accepted for four grants offered by the program. The four grants include the Research and Education Grant, the Partnership Grant, the Youth Educator Grant, and the Farmer Rancher Grant. The Research and Education Grant Program is a competitive grant program for researchers and educators involved in projects that explore and promote environmentally sound, profitable, and socially responsible food and/or fiber systems. Research and Education projects include a strong outreach component and significant farmer/rancher or other end user involvement from inception of the idea through implementation of the project. Research and Education grant awards range from $10,000 to $200,000 and projects may last up to 36 months. 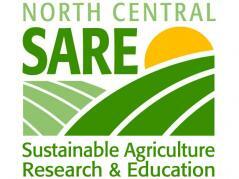 NCR-SARE anticipates funding 10-14 Research and Education projects per year. Many projects are interdisciplinary and/or multi-institutional, involving a broad range of agricultural interests. Project coordinators in the past have explored sustainable agriculture in biocontrol, crop production, education/extension, networking, livestock production, marketing, quality of life, soil quality, value-added marketing, waste management, water quality, and weed control. The deadline to apply for the Research and Education Grant is Oct. 18. Examples of appropriate projects include developing a curriculum about food storage for farmers and processors, on-farm testing of cropping system strategies or grazing systems, cooperative efforts to develop new marketing approaches, or investigations into new approaches to processing and/or adding value to sustainably produced farm products. Partnership Grants are for on-farm research, demonstration and/or educational projects and are funded for up to 24 months, and up to $40,000 total funding requested per application. Any agriculture/natural resource professional in the North Central region may apply, including university educators (extension agents and specialists), NRCS field staff, agricultural consultants (individuals who actively consult with farmers and ranchers as certified crop advisors, soils consultants, ranching consultants, etc. ), and nonprofit or agency staff assisting farmers and ranchers at the local level. The deadline to apply for the Partnership Grant is Oct. 24. The Youth Educator Grant Program supports opportunities for youth educators to research, demonstrate, and learn more about sustainable agriculture. Youth Educator Grants are competitive grants, up to $4,000, for educators to provide programming on sustainable agriculture for youth. The deadline to apply for the Youth Educator Grant is Nov. 15. Farmer Rancher grants are offered as individual ($9,000 maximum), team of two ($18,000 maximum), or group ($27,000 maximum) grants for ideas initiated by farmers and ranchers. Projects may last up to 24 months. About 40 projects are funded each year. The deadline to apply for the Farmer Rancher Grant is Dec. 6. Since 1988, the Sustainable Agriculture Research and Education (SARE) program has advanced profitable and environmentally sound farming systems that are good for communities through a nationwide research and education grants program. Keep in mind your grant will be 3 Ps of Sustainability: over the long term; of our nation's land, air and water; quality of life for farmers, ranchers and their communities. Collaborate. The best proposals are planned and carried out by a variety of individuals or organizations. Past successful grant projects have involved Extension educators, nonprofit group participants, other farmers or ranchers, and/or other members of the community. For more information visit the SARE website, Twitter, or Facebook, or contact SARE co-coordinators Doug Gucker (dgucker@illinois.edu) or Bruce Branham (bbranham@illinois.edu).